What Will Tampa Bay Bucs Do With Quarterback Jameis Winston ? The Tampa Bay Buccaneers QB Jameis Winston, a former No. 1 overall pick had a tumultuous season which started with a suspension for groping a female Uber Driver. Winston lost his starting job to veteran Ryan Fitzpatrick and then won it back midway through the season. 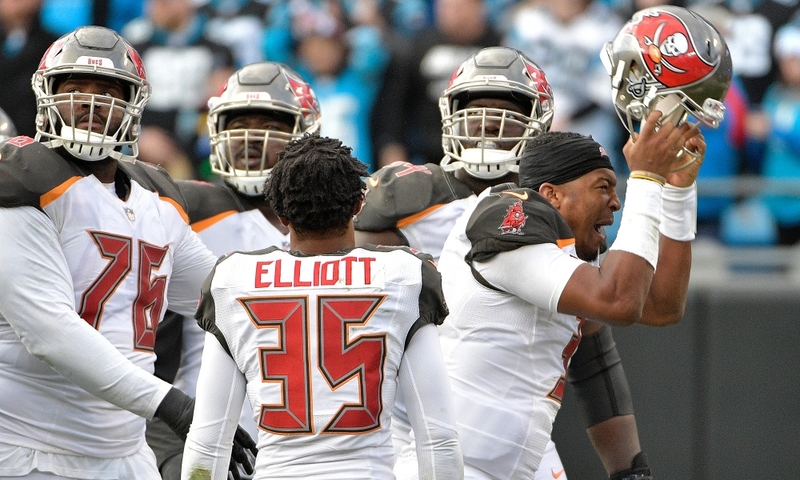 The Bucs finished 5-11 and in last place in the NFC South, but with no better options on the market, the franchise has announced that Winston will return as the starter in 2019, according to ESPN. Winston had the worst season of his young career throwing for just 2,992 yards, 19 TDs and 14 picks. The 24-year-old former Heisman winner is definitely looking forward to a better season in 2019. Jameis Winston. Chris Godwin. Bingo!